There have been a slew of fresh chamberings for AR-pattern rifles in recent years, and the 6.5 Grendel is proving to be a great asset for shooters who wish for a highly accurate cartridge in the 200-800 yard environment which also has a larger diameter, heavier bullet while still able to use a standard 5.56X45mm magazine and lower receiver. 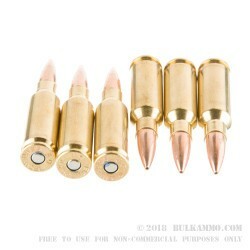 Coming in at a hefty 43 grains over even the heaviest common .223 bullet (77 grain), the 120 grain Open Tip Match (OTM) is a relatively heavy projectile for a short case cartridge. It’s range is much more limited than its bigger brother, the 6.5 Creedmoor, but it is a great selection for shooters seeking an extremely accurate platform for match shooting but lack a 1,000+ yard range. 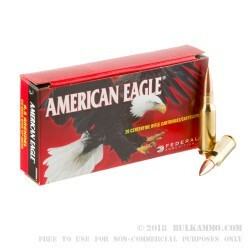 Federal ammunition advertises the 120 grain OTP as a cartridge which closely mirrors field loadings so shooters can be assured that their shooting on the range will translate to shooting in the field. 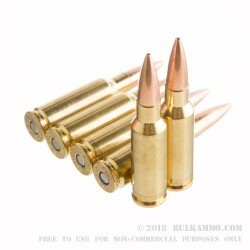 It is important to not the strengths and limitations of this useful caliber. 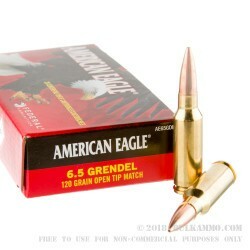 Its ideal range is 100-200 yards and it drops quite rapidly after that, with over 55” of drop at 500 yards. If you are in the wooded hills of Indiana or the Smoky Mountains in Tennessee, this is really great choice for taking Whitetail at those shorter distances, and the 120 grain OTM is going to give you the best shot at taking your best shot later.